Caught red-handed with some unorthodox gear testing methods. 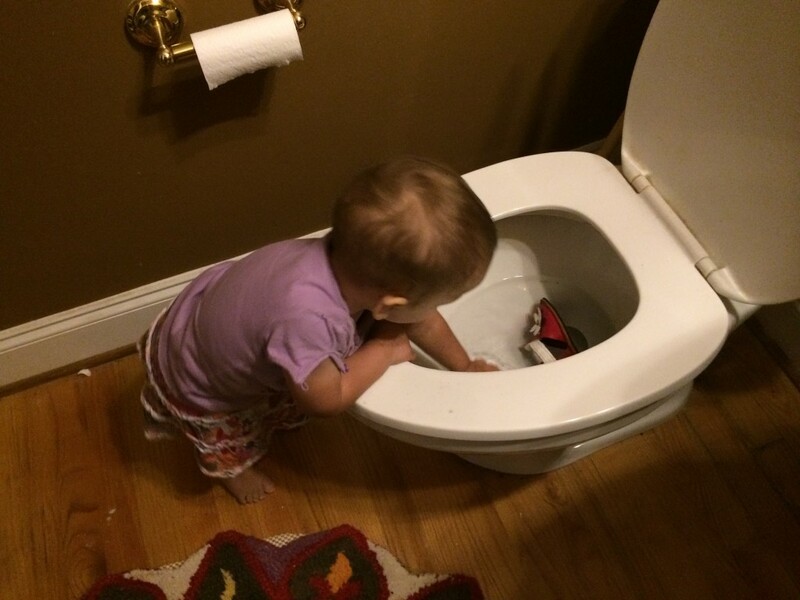 One thing you may not know about Baby Zu is that she is rather into shoes. At least twice a day I catch her in our mud room camped out in a giant pile of shoes. No matter how many times we organize the shoes, by the end of the day, they are scattered out around the house again. They don’t even have to be hers. In fact, she takes it upon herself regularly to make sure that everyone in the house has a pair of shoes available to them at arm’s reach. So it only made sense to let this girl try out some shoes from Softstar, one of our family’s favorite brands for tiny feet. This is actually the second time I’ve reviewed these shoes on this blog – back in 2013 Big C got to try out the Softstar Ramblers, reviewed here. My little princess got to check out a pair of sandals from Softstar, and immediately fell in love with them. It probably goes without saying that her favorite parts were the flowers, which she tried yanking off for 2 days straight before finally realizing they were attached. 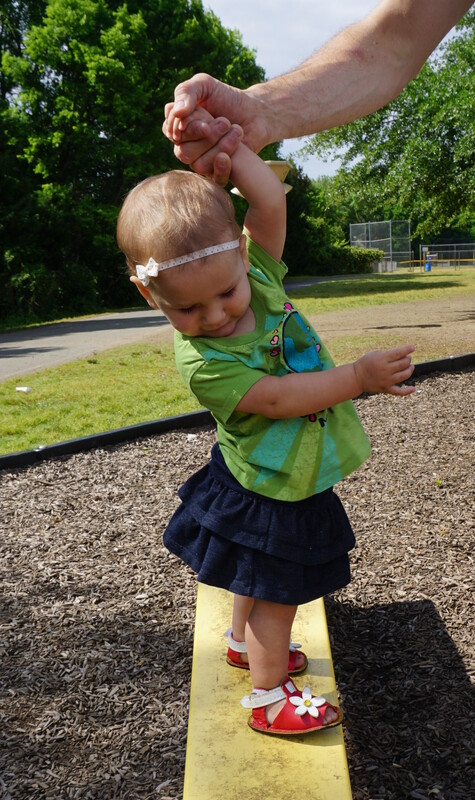 As for me, I’m a fan of the way all Softstar shoes allow my kiddos’ feet to develop naturally – using a simple, minimalist design. There is nothing bulky or stiff, and no molded footbeds. These shoes provide what every growing foot needs – a thin layer of warmth and protection from harsh and potentially dangerous terrain (hot asphalt, broken glass, etc. ), without hindering natural development. If you are uneasy about getting the correct fit, the “elves” at Softstar have a nifty little size chart on their website. Just print it out, and put those sweet little tootsies on the chart! We were forewarned that the sandals tend to run a size bigger than the rest of the shoes, so we sized down. The result was a perfect fit with just the right amount of growing room! Soft Star has graciously offered to gift one lucky reader with a $30 gift card! Entries are easy via the Rafflecopter widget below. Leave a comment below about your fave brand of kiddo shoes for the first entry. Multiple entries will be given by liking Cragmama and Soft Star on facebook as well. Best of luck, and happy shoe-shopping! Contest will run through June 1st. We love Tsukihoshi and Softstar shoes! I like robeez, but mostly my guy goes barefoot! I’ve been a fan of soft stars for a few years now though haven’t owned a pair. We usually get the big box knockoffs for our kids. As far as our favorite shoes for our kids we are fans of the sanuks and 2nd hand chuck Taylor’s! We love soft star shoes. I wear them too! I LOVE pretty much any Robeez style soft soled shoes! These ones sound awesome! My LO has a pair of Wee Chooze shoes that are awesome (they still fit from last summer) but I would love some a but more durable for camping and off the sidewalk kind of play! My baby girl doesn’t have a favorite pair of shoes yet. She’s like me and she likes to be barefoot, I would love to get her some shoes that promote healthy growth. We love soft star and mymayu shoes. A must for active little ones! I am a Soft Star fan for both me and the kids. My boy-child loves their boots, my girl-child prefers her Toms right now–but oh, how quickly their tastes do change! I love Soft Star shoes for my son! He also has a pair of See Kai Run but the soles are thicker. I buy clearance soft soled shoes for my little guy ( 14 months) and just got our first pair of soft star sandals for him which we LOVE. For my 5 year old I found Teva Zilch on clearance for $12!! His ‘running shoes’ and indoor shoes are swim shoes that I got for $5 each! I am looking at vivobarefoot for him but have not purchased any yet. We are puma, robbeez, see kai run, pediped fans. Trying to reign in my impulse for neat and cleanliness and let this summer be the summer of *no* shoes for my kids. When we leave the house, though, I’d love for it to be in soft stars. I would love to try soft star shoes! I have been searching for a brand of shoe that compliments my daughters natural gait and think this would be perfect!! Absolutely soft star shoes! All of my kids have worn them! Some of the pairs are still in the attic, waiting for the youngest. I have gotten lucky finding the stride rite flexible soled shoes at our local used children’s clothes shop… They give a nice amount of grip on our rocky trails!